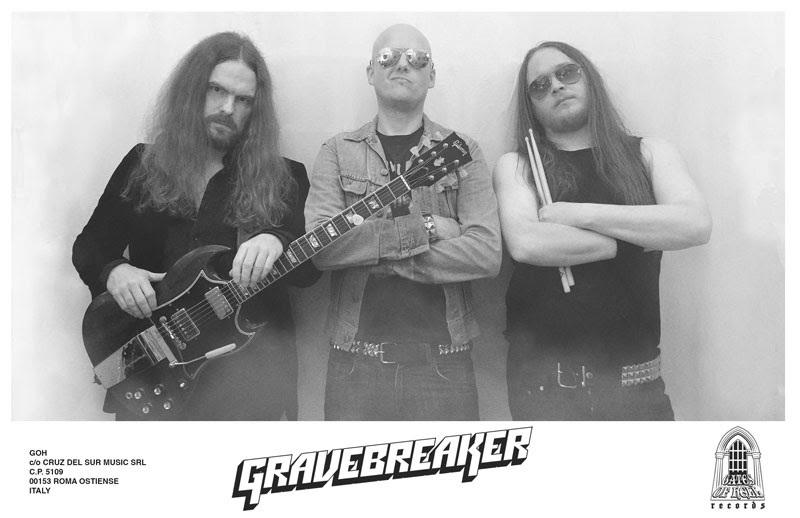 No gravestone has been left unturned in GRAVEBREAKER’s quest for the original sounds of Heavy Metal – the hot-tempered drums, the irascible guitars and the fiery growls, all presented at breathtaking speed (oh, and the ferocious keyboards, of course…). Sacrifice will be available as a limited edition vinyl LP (500 copies, 100 of which will be ultra-limited Coke-Bottle Green vinyl with patch, exclusively from the Cruz Del Sur Music webstore), limited edition CD (500), and in digital format. This entry was posted on December 1, 2016 at 8:34 pm and is filed under Hard Rock, Heavy Metal, Metal, Music, news, rock music, world news with tags gravebreaker, Heavy Metal, metal albums 2016, metal odyssey. You can follow any responses to this entry through the RSS 2.0 feed. You can leave a response, or trackback from your own site.